ODIHR refuses to monitor Azerbaijani poll after government tries to restrict the size of the mission. The Office for Democratic Institutions and Human Rights of the OSCE, the leading election monitoring organisation in Europe, has decided not to observe the forthcoming Parliamentary Elections in Azerbaijan scheduled for 1 November 2015. 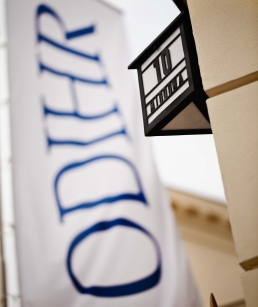 ODIHR – an institution that operates in the framework of the Organisation for Security and Co-operation in Europe (OSCE) has monitored most of the elections held in Europe in the last two decades and has a long history of engagement with Azerbaijan. In August, ODIHR sent a needs assessment mission to Baku to discuss with the Azerbaijani authorities and other stakeholders the arrangements for the observation mission which was scheduled to be deployed at the end of September. In its report, published on 31 August, the Assessment team recommended that an Observation Mission of around 400 persons, including a core team, 30 long term observers and three hundred and fifty short term observers should be sent. These recommendations were however rejected by the Azerbaijani government who instead proposed that the mission should have six long term observers and one hundred and twenty five short term observers. On Friday, 11 September, the Director of ODIHR, Michael Georg Link, issued a statement saying that due to restrictions imposed by the Azerbaijani authorities, ODIHR has no choice but to cancel its mission to observe the country’s 1 November parliamentary elections. “The Azerbaijani authorities’ insistence on a restricted number of observers is directly counter to the country’s OSCE commitments and in contradiction to ODIHR’s election observation mandate,” he added. In a statement on its website ODIHR said that Azerbaijan, as all OSCE participating States, has committed to inviting international observers for its elections, as well as to ensuring utmost attention to the independence, impartiality and professionalism of ODIHR election observation. Following the receipt of an invitation from the Azerbaijani authorities, an ODIHR needs assessment mission sent to the country recommended the deployment of an election observation mission, including a core team of experts, 30 long-term observers and 350 short-term observers. In a 31 August communication, Azerbaijan’s Permanent Mission to the OSCE stated that the authorities were ready to accept only 6 long-term and up to 125 short-term ODIHR observers. The decision to cancel the deployment was only taken after a further communication, received late yesterday from the Azerbaijani Permanent Mission, reiterated these limitations. Within its mandate, ODIHR remains ready to provide assistance to Azerbaijan in the implementation of its election-related and other OSCE human dimension commitments, Director Link underlined. “The Government of the Republic of Azerbaijan, honoring its OSCE commitments, extended an invitation to the OSCE/ODIHR to observe the election. Following the Needs Assessment Mission (NAM) report, the Azerbaijani side communicated in writing substantive concerns over the findings and recommendations of the NAM and questioned the validity of the OSCE/ODIHR election observation methodology, in particular the number of the long-term and short-term observers recommended by NAM”. “Taking into account elections practices in the OSCE area, and ratio of LTOs and STOs to the size of population and electorate, the Government of Azerbaijan suggested the to OSCE/ODIHR to revise its NAM report. Unfortunately, the OSCE/ODIHR refused to heed the concerns of Azerbaijan and rejected the proposal to engage in consultations on its debatable recommendations”, the statement added. The statement accused ODIHR of attempting “to infringe upon sovereign rights of an OSCE participating State”. It said that the fact that the decision of the OSCE/ODIHR “came right after the European Parliament passed a resolution on Azerbaijan, which called for refraining from observation of our parliamentary election, adds to the doubts of ODIHR’s independence, integrity and professionalism”. The statement concluded that “in light of the above-mentioned and being compelled by the steps taken by OSCE/ODIHR, the Azerbaijani authorities will hold the Director Link accountable at the OSCE for the ignorance to the concerns of the OSCE participating State and violation of the mandate by refusing to assist the OSCE participating State in implementing its election-related commitments. The people ofAzerbaijan, with or without the OSCE/ODIHR election observation, will have a chance to express their will in a free and fair election”. ODIHR publishes needs report ahead of Azerbaijani poll. Recommends 400 strong Observation Mission.